Pink bleeding heart flowers bloom spring through summer over finely dissected blueish green foliage. If deadheaded, blooming will continue to frost. 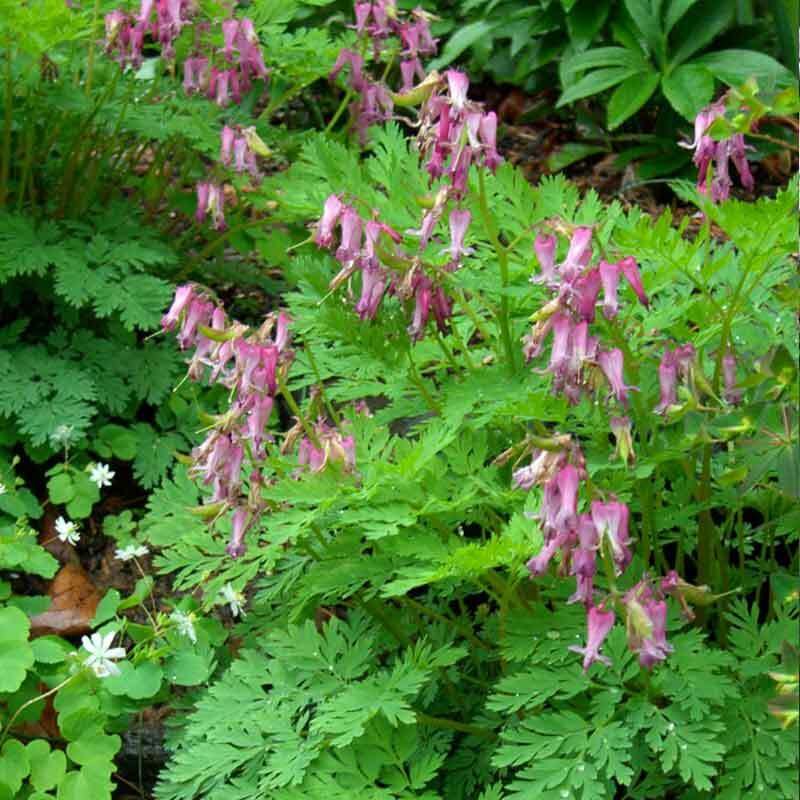 This sweet native prefers full to part shade in average to moist soils. Avoid sites that are wet in the winter. If seed heads are allowed to mature, some welcome volunteer seedlings are bound to appear. Full-part shade. Height and spread 12-18″. Native to northeastern US. Deer resistant. Zones 3-9.